According to IGN, Summit has announced that Ender’s Game will be released on DVD and Blu-ray combo pack on February 11, 2014 in the United States. Both the Combo Pack and DVD extras include deleted and extended scenes with optional audio commentary with director Gavin Hood, as well as a feature-length audio commentary with producers Roberto Orci and Gigi Pritzker. 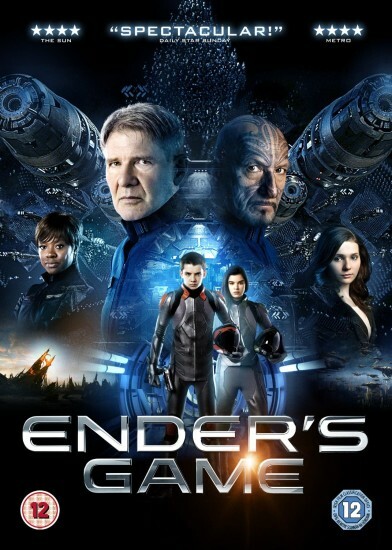 The DVD release will also feature a 45 minute featurette on the making of Ender’s Game. You can place your pre-orders now on Amazon.com! I am interested in the deleted and extended scenes that are supposed to be a part of the DVD release. Does anyone have any final numbers of how much EG has brought in domestically/internationally? Looking forward to it! I would have loved a Gavin Hood audio commentary on the feature itself, not to mention an option to branch an extended cut in addition to the theatrical cut. But really extensive special editions like that are increasingly rare these days, so I’m glad we’re getting deleted scenes with commentary, etc. By the way, there’s a minor error above (at the time of this writing): the 45 minute featurette is exclusive to the Blu-ray and is not on the DVD. On the domestic/international question, I found the answer at forbes.com. “Not doing as well is Lionsgate’s would-be franchise starter Ender’s Game.